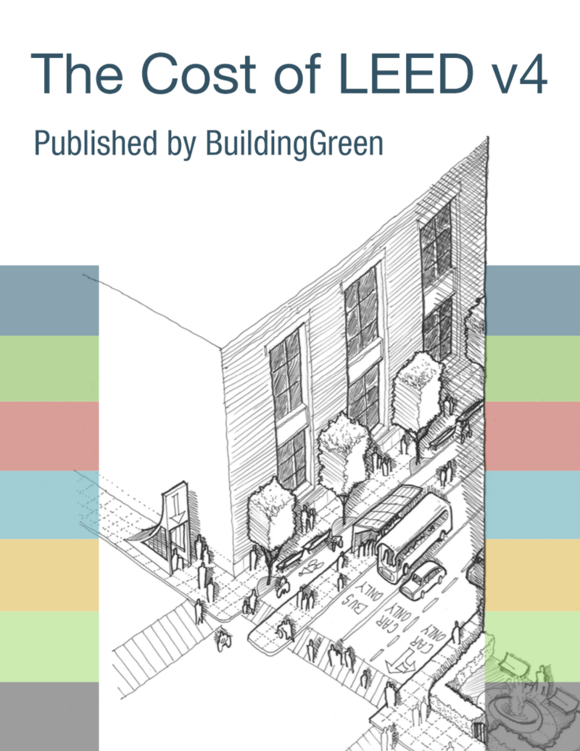 To encourage the design, construction, and retrofit of buildings using green building practices. Design, construct, or retrofit one building as part of the project, beyond the prerequisite requirement, to be certified under a LEED green building rating systems (for LEED for Commercial Interiors, 75% of the total building floor area must be certified), or through a green building rating system requiring review by independent, impartial, third-party certifying bodies that have been accredited by an IAF-accredited body to ISO/IEC Guide 65 or, when available, ISO/IEC 17065. Up to five points may be earned for each additional certified building that is part of the project. Design, construct, or retrofit a percentage of the total project building floor area, beyond the prerequisite requirement, to be certified under a LEED green building rating systems or through a green building rating system requiring review by independent, impartial, third-party certifying bodies that have been accredited by an IAF-accredited body to ISO/IEC Guide 65 or, when available, ISO/IEC 17065. Detached accessory dwelling units must be counted as separate buildings. Accessory dwellings attached to a main building are not counted separately .